Different people share a different kind of fantasies for holidays. People have different perspectives when it comes to holidays. Not everyone like the Christmas season, the lonely ones enjoy their solitude after the party is over. They like being on their own rather than walking around in a group. Therefore, for the people like you, there are some tips to avoid the crowd in Toronto Pearson. The airport is already offering a lot of facilities and amenities for tourists but these tips might help you go through that holiday crowd with being offensive of your introvert attitude. Local taxi service is available on quick services. Do not forget to book your limo taxi before the time. You already have flight details, so, make sure that your car is on time. Toronto Airport Limo Flat Rate is one of the reputed taxi services that keep the customer care on their top list. We know the holiday season and after New Year is always crowded, so, there is a little help to avoid any hassle. You can find many great holiday deals at the airport. 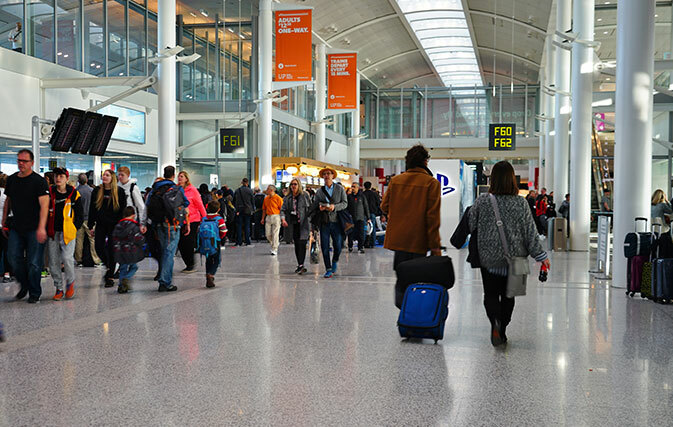 Pearson Airport is making it feasible for guests by offering some amazing deals to carry on their fantastic trip to Toronto. Choose the one that suits your budget and enjoy the holiday trip. Local taxi service by Toronto Airport Limo Flat Rate is always available, book online or call on the provided numbers, our driver will pick you from your given pick-up point. This is important. As the airport is crowded, in case you’re travelling back home or to the city, arrive early at the airport. Time margin can save you from many hassles and it can also save you from getting stuck in traffic or other emergency situation. Don’t wrap up the gifts and also keep the weight of luggage according to the instructions. You don’t want to face any difficulty of carrying baggage during the holiday season, so keep it as it is advised by the airport authority. Patience is the most essential baggage to take along. It is a holiday season and you have to pack your patience along. The airport is crowded, people can be in a drunken state. You have to be little more careful and keep your patience along. However, Toronto Airport Limo Flat Rate is offering best holiday discounts, you can book all your rides in advance to avoid any hassle at the moment. Your Pearson Airport Taxi will be at your pick-up point in less time.